We’d love your help. 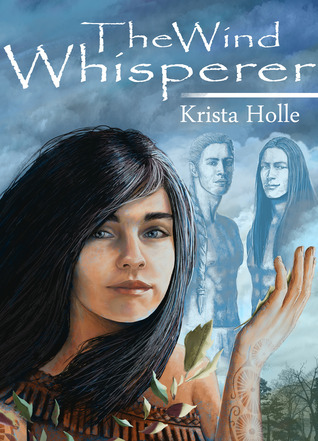 Let us know what’s wrong with this preview of The Wind Whisperer by Krista Holle. As the village prepares to retaliate, Anaii is pressu At fifteen, Anaii is the most important member of her tribe—and the most mysterious. Ever since Anaii can remember, the spirits of the wind have whispered of fertile hunting grounds and imminent enemy attacks. But when her people are ambushed by a brother clan without any apparent cause, the spirits remain eerily silent. To ask other readers questions about The Wind Whisperer, please sign up. I am insanely excited to share the release of The Wind Whisperer, and as a beta reader of Anaii's story last year, I'm a raving fan. Krista Holle has a gift for tension and world-building. I squirmed, immersed in the Scottish culture for The Lure of Shapinsay and The Wind Whisperer is even better. I love the world-building. The story takes place in an Indian community of maybe a century or two ago. I love the sand and grass beneath bare feet, the leadership meetings in smoke-filled hut, the famil I am insanely excited to share the release of The Wind Whisperer, and as a beta reader of Anaii's story last year, I'm a raving fan. Love triangle? By mid-book, I was completely torn. Jayttin is beyond perfect... like Romeo & Juliet perfect. He's from the other tribe, an incredible leader with huge heart. I agreed with Anaii and her attraction to him. The tension builds when Anaii begins to see her long-time friend, Elan, with new perspective. Suddenly, the guy who has always been there... is the best thing that's ever happened to her. I don't know when I have wanted both guys to win so badly!! Anaii is incredible: part spoiled brat, part super-hero and part prisoner. She can speak the language of the wind. I love the way she holds conversations with the wind, sometimes at the same time she's talking with people. The village leaders keep a tight reign on her, having become dependent on her ability. They honor her, but they also want to control her and when they choose a husband for her, all Anaii's pent up frustrations breaks loose. Fifteen year old Anaii has a gift that is both a great blessing and a terrible curse. Her people know that the wind spirits speak, but Anaii is the only one who can understand the wind's language, as well as speak back. It's made her father favor her over all others, but it's also taken her freedom. As long as she can learn from the winds of pending dangers, he demands her constant nearness. Elan has been close to Anaii since they were babies. They played together and plotted together, and now he wants them to have a future together. But she's only ever seen him as a best friend, practically a brother, and his none-too-subtle suggestions that they become more are straining their relationship. But other men in the tribe have their eyes on her as well, and it's only a matter of time before one of them wins her hand, even if he can't win her heart. Anaii's position in the tribe is a tenuous one. She is favored for her abilities, but not adored as a daughter or friend (except by Elan), and those who don't rely on her for information make no secret of their dislike for her. She's not required to work as the other women are, and she's allowed within the council, a place reserved only for male elders of some importance. On the surface, her life seems rather charmed, but she's left with few friends and no freedom. The importance of her gift makes her indispensable, and when danger looms outside, the village becomes a virtual prison. But then Anaii comes upon Jayttin in the meadow, and for possibly the first time, she sees a man she can truly imagine marriage with. Only their tribes are at war, their fathers sworn enemies, and if simply knowing Jayttin is treason, running off to marry him would be the highest crime. But then Anaii's father promises her to Koko, his strongest warrior and a man Anaii would never choose for herself. Desperate to decide her own life, Anaii escapes with Elan only to run into Jayttin, and while her heart is being torn in two, the fates of their villages are left in the balance. I have to admit that I was on the fence about reading this book. I just wasn't sure a story about a fifteen year old Native American girl caught in life-or-death love triangle was really my thing. There were just so many ways it could go wrong. It could have been a mockery of Native American history and mysticism. It could have been a terribly unbelievable and frustrating love triangle. It could have been a bunch of made up customs and legends, much like Stephenie Meyer's false portrayal of the Quileute nation. It could have been the frustratingly immature story of a few kids who created drama out of everything. But instead it was simply extraordinary. Holle has a knack for description, writing scenes in a way that makes them spring up in full color and texture in the mind's eye. Within just a few pages, the book I thought I was taking a chance on became a vivid journey into another time, another way of life. Customs and words I'm not familiar with were described and used in a way that somehow made perfect sense, and before I knew it, I was lost in the story. It's pretty clear that the author has done enough research to not only do justice to the people whose ways she's borrowed, but also to spin a wholly believable and engaging story. Anaii's torn feelings when it comes to Elan and Jayttin are anything but simple. She can't imagine life without one, even while she's inexplicably drawn to the other. Love triangles are difficult to get right, often making the correct choice obvious to frustrated readers while the characters stuck in them are foolish and blind. But every time I thought I had this one figured out, I ended up second-guessing myself. Anaii's conflicting emotions were practically tangible, realistic in their complexity and played out in a way that left me unable to even choose a favorite until it all came together in the end. Most impressive, though, is Holle's ability to deliver a young adult story that can thoroughly entertain adults while remaining entirely appropriate for the targeted age group. Where usually I'm warning younger teens away from books purportedly aimed at them despite the inclusion of strictly adult content, The Wind Whisperer should be marketed to everyone from thirteen to eighty years old. There's so much going on and so many emotions at play that while romance is certainly a big part of things, the more adult scenes some authors would resort to in order to keep readers' interest aren't even missed. And fortunately for all of us, the story doesn't end with this book. While The Wind Whisperer thankfully does not end on a cliffhanger, it does leave an opening for more, which we'll see in A New Whisper later this year. In the meantime, if you're looking for a great new read, look past the unfortunate font choice and pick up The Wind Whisperer. It's a fantastic way to spend an afternoon. I decided to read "The Wind Whisperer" by Krista Holle, even though it seemed like it would be something out of my comfort zone, and I'm glad I did. This could read as historical fantasy fiction (which isn't a normal read for me), as it takes place in a Native American tribe, and we are immersed in that world. Anaii is special to her tribe. She was left there by a mother, who was also an outsider, and even from the start, her blue eyes set her apart from the brown-eyed tribe. When you throw in that she can speak to the wind, she's definitely unique. Yeah, the girl talks to the spirits of the wind. Which is a pretty cool talent, since she can ask them about anything (as long as it happens within a certain radius, the spirits can only see so far) and they'll tell her what's going on. This special skill makes her a prized possession for the chief of her tribe, although it makes others wary of her. The chief holds her on this high pedestal where she is a part of his council, even though she is just a young girl, and that doesn't sit right with everyone. Most of the men think she's this weird abomination, and the women think she's lazy since she doesn't help out with the normal women's work. I was left undecided at first about how I felt about Anaii's character, since I was seeing both sides of the tribe's argument. Anaii did seem like she thought she was too good for simple farming or cooking, but on the other hand, any time she did try, the women would give her dirty looks or mutter about her inabilities. It was a bit of a hopeless situation for her. Also, while the chief seemed to prize her, she was still treated a lot like an object. She was important to him and the counsel only because of what she could do with her wind whispers, instead of being acknowledged for the person she was. This made me upset on her behalf because I felt after all she had done for her tribe, she should have been treated better (especially when that whole arranged marriage thing comes into play and she's pretty much sold off like a piece of meat). It wasn't until later on in the book that I decided I did like Anaii as a character. She just needed to find herself and to grow, which is understandable when you think of her only being "15 winters" old (that is an adult in her tribe's eyes). At times she could be stubborn and lazy, but she really did want what was best for her people, and proved that she was willing to do whatever it took to make sure the ones she loved were safe. Speaking of love – a good chunk of this book is dedicated to the love triangle Anaii finds herself in. On one side is Elan, the boy she's known since she was a child and is just starting to see him as more than just a brother, and there's also Jayttin, who is a member of a rival tribe that she meets in a meadow and feels an instant connection with. I was actually impressed with the set up of this triangle. Normally when there is multiple love interests involved, I find myself gravitating toward one side and hoping that the girl will choose the guy I like for her. That wasn't so much the case in "The Wind Whisperer.” Instead, I kept bouncing back and forth between, wishing she would just declare her love for Elan, to wishing she would run off and marry Jayttin. The tension and bickering seemed to be getting too much at times between the boys, I still felt like Holle did a great job at creating a balanced triangle. I’m conflicted over whether to like Anaii or to hate her for her scheming ways. I know hate is a powerful and negative word but the way she treated the men in her life, I just felt so fed up. I wanted to yell at the men to move on… find someone else; I just didn’t get what made her so special that they stayed. Anaii, has the gift of wind. She talks to the wind and listen to their reply, warning and heeding to their advice. Being special, the other women in the village are resentful towards her w I’m conflicted over whether to like Anaii or to hate her for her scheming ways. I know hate is a powerful and negative word but the way she treated the men in her life, I just felt so fed up. I wanted to yell at the men to move on… find someone else; I just didn’t get what made her so special that they stayed. Anaii, has the gift of wind. She talks to the wind and listen to their reply, warning and heeding to their advice. Being special, the other women in the village are resentful towards her which also includes her since sister Shala. While Shala talks about the village men, Anaii mind is elsewhere and does not care that the time is approaching for marriage. Sha-copay, her father is concerned over his brother Askook who is estranged and who is at war with Sha-copay’s tribe. Using Anaii’s talent, their tribe is able to be prepared for battle but exactly why Askook’s tribe attacked is the question Sha-copay is wondering. As Anaii escapes for a few minutes of freedom, she discovers Jayttin in the field. A young beautiful female discovering a young captivating male in the tall grasses, the attraction between the two is imminent. Promises are made, stories are told and then the ball is dropped! Jayttin is from Askook’s tribe yet he is drawn to Anaii. As Anaii mind is spinning, she remembers Elan. Elan, the boy from her village who wants her hand in marriage, whom she has known since she was a child, oh how her memory has failed her. Anaii is now juggling two young men who claim their love for her while in the same vicinity. This just blows my mind! How she carries on and these men are in the same area while she contemplates their love has me wondering if she put a spell on them. What power she holds in her hands. Let’s not forget we have the villages at war. This tension, this confusion and it doesn’t stop there. The adventure is just starting, so be ready. Battles must be fought, tears must be shed, the wind calls and Sha-copay still wants a wedding. I kept thinking if I had the power of the wind, what would I ask? Would I really want to know? Once you got the hang of the names in the book it was easy to read. I was so drawn to Anaii’s power over these two men that I could not put the book down. I realized that Elan had known Anaii since they were children but she had turned him down at his marriage proposal but yet he hung on to his dream of marrying her. Then there was Jayttin, he was a sweet talker and he had great dreams (yet would they turn into reality?) but just the thought of who he was should have put an alarm in her head. It’s one of those times when you are reading, you are saying to yourself “don’t go there…this looks like a trap” and you squirm as you read the lines on the page. That is exactly what I did every time Jayttin and Anaii where together. This book sure took me out of my normal lines of reading but it was a great escape. The story lines were not twisted just a straight linear line that just kept going. I was given a free book for an honest opinion. A YA book that is definitely worth reading whether you are into Native American tales or not. Time for complete honesty here; I’m not really a big fan of Native American stories. But as you can probably tell from my opening sentence this is one story I was given to read and review that I’m so happy to have received. It’s the perfect example of how a well written book will captivate your interest even if you are doubtful going in. Krista fills the book with such rich details of the setting, morals, and customs of the characters involved you get the feeling she must be an authority on the culture of the Indians before the white man showed up and destroyed their way of living. If she’s not an authority then she has certainly done an amazing job of fooling me into believing she is an expert. It was nice to read a book that felt authentic to the era and people being written about. Don’t go into this thinking it’s going to be all hearts and flowers about a cutesy tribe living an idyllic life in the forest. The tale starts with a murder that splits not only a tribe but a family. The bloodshed continues to flow decades later. The herioen of the story is a 15 year old female, Anaii, with a gift from the gods. She has the ability to talk to the wind. Then we are presented with two heroes Elan and Jayttin. Anaii and Elan are from the same tribe, Chipoke, and have been inseparable friends since childhood. Jayttin is from their enemies’ tribe, the Zennite, with whom she feels an instant attraction for from their first accidental meeting. Have to say I found Anaii a tad annoying. She comes off as more than a little spoiled and I’m not really fond of the way she strings Elan and Jayttin along. But hey, she’s a teenager with huge responsibilities in the tribe and most would have trouble trying to pick between two gorgeous male specimens like Elan and Jayttin. Elan, on the other hand, is anything but annoying. He is definitely a favorite of mine! His devotion to Anaii is amazing considering some of the circumstances that come up. The guy is a saint if you ask me. There is nothing really objectionable to Jayttin and in some ways he also shines more than Anaii does for me, but Elan just has so much more going for him. Krista does a great job of creating characters, whether they are major players or sub-characters, which engage my interest. Romance, intrigue, danger, and a wealthy dose of teen angst create a novel that is difficult to put down. Found it a fast read for it being a fairly long book. How refreshing to have a book that doesn’t end on a major cliffhanger. This could be read as a stand-alone novel as there is a satisfying ending to the book, but it’s great to know there is a planned second book to Anaii’s story. Highly recommend THE WIND WHISPERER and believe it would be suitable for anyone 14 and older. I wasn't sure what to expect when I picked up The Wind Whisperer. I hadn't read any Native American fiction before, so this was something new for me. I did like it though! It's always nice to read something different, and diversity is great too, but what really sold it for me was the paranormal twist. I know Native Americans are always portrayed as being very spiritual and in tune with nature, but Anaii really does have a gift. She can understand the language of the wind and speak back. Later sh I wasn't sure what to expect when I picked up The Wind Whisperer. I hadn't read any Native American fiction before, so this was something new for me. I did like it though! It's always nice to read something different, and diversity is great too, but what really sold it for me was the paranormal twist. I know Native Americans are always portrayed as being very spiritual and in tune with nature, but Anaii really does have a gift. She can understand the language of the wind and speak back. Later she even discovers that she can control the wind, making storms at will. Anaii is the most important person in her village since she can warn them of impending attacks and other important events, but she feels like a prisoner. Then she meets the son of her tribe's enemy's chief, and realizes that she's meant to use her gift for a greater purpose. I was surprised that The Wind Whisperer ended up almost being a typical YA Paranormal Romance complete with the BFF versus the forbidden boy love triangle. Elan and Anaii have been friends since childhood and he's one of the few members of their tribe who treat her like a normal person. Jayttin is slightly older and the son of the enemy chief. However, unlike Elan, Jayttin is not a warrior and wishes for peace between the two tribes. There's also another player in this romance: Koko, an esteemed warrior who believes Anaii should be his. He's essentially the Kocoum to Anaii's Pocahontas. Jayttin is John Smith, and Elan is Flick, since he's far too serious to be Meeko. This love triangle didn't end up how I was expecting. There's a very nice twist at the end, which luckily didn't feel like a cop out. Although, Koko isn't a real contender. Anaii despises him, but he is the final straw which makes her leave her village. This is when the plot finally gets going. Anaii and Elan plan to run away to another village and get married (for practical reasons, not necessarily romantic ones), but their escape is interrupted by...Jayttin! The unlikely trio head out together even though tensions are high, and end up on a quest to rescue his missing sisters. Of course, things aren't so easy and they learn the truth about the girls' disappearance and the reason behind the recent attacks between their villages. There is a war brewing, and it's larger than either tribe had anticipated. The Wind Whisperer was a delightful surprise! It was refreshing to read about a culture that doesn't seem to be covered much in YA. I loved how Anaii's gift was handled. She's not all-knowing or all-powerful, but she is important. My only real complaint is that at times the story seemed to drag and I found myself bored. It felt quite a bit longer than it really is. Don’t laugh but I keep thinking of Pocahontas when I read this book. I mean not really, but I love the Disney cartoon and some things fit. You know, they whispering willow tree, and the fun animals, and the tribal culture. And that’s about it in similarities, but still. And maybe a little Romeo and Juliet, minus the suicidal part. :) Anyways, I enjoyed this story. It’s also very cool way of living off the land, and we all forget how nice we have things with all of our technology and things like Don’t laugh but I keep thinking of Pocahontas when I read this book. I mean not really, but I love the Disney cartoon and some things fit. You know, they whispering willow tree, and the fun animals, and the tribal culture. And that’s about it in similarities, but still. And maybe a little Romeo and Juliet, minus the suicidal part. :) Anyways, I enjoyed this story. It’s also very cool way of living off the land, and we all forget how nice we have things with all of our technology and things like that. The characters are definitely charismatic and will appeal to most. The main character is quite important in her role in life and I hate to say it, but it’s such pressure for a young girl. Anaii is the chief’s daughter, and she can hear the voices of spirits in the wind. They tell her how to help her clan in many different ways, like helping crops, and when rains come, and when the bad guys come. And there are some bad guys, some enemy clans that will fight and kill. And one night, Anaii gets a warning that saves herself and most of her small tribe. But she doesn’t understand why they attack for no reason, especially after they have gotten along with this clan for years. And Anaii’s father wants her to find out why. She’s a clever girl, she’s young, she has it a little too good sometimes, and she’s stubborn. So she has flaws and makes mistakes, but she’s still a very interesting character. She also has two different boys fighting for her attention and she’s a little new to this. I am not a big fan of Native American stories, but I loved how this one was created. 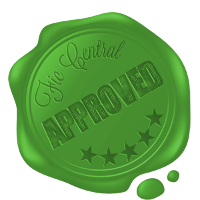 It is authentic and to me it came across as very believable. Our main girl is called Anaii, an adopted fifteen year old who is living with the Chipoke tribe. She is able to talk to and control the wind. The wind whispers its secrets to her and helps her to keep everyone safe. Anaii is torn between two men in her life: Elan, her lifelong best friend who has always loved and protected her and made it clear that he I am not a big fan of Native American stories, but I loved how this one was created. It is authentic and to me it came across as very believable. Our main girl is called Anaii, an adopted fifteen year old who is living with the Chipoke tribe. She is able to talk to and control the wind. The wind whispers its secrets to her and helps her to keep everyone safe. Anaii is torn between two men in her life: Elan, her lifelong best friend who has always loved and protected her and made it clear that he wants to marry her. And Jaytinn: a warrior from the enemy tribe with whom she has an instant connection. Even though Anaii claims she loves Jayttin, I think lust would be a better word. With Elan, she has a deep rooted connection that goes back years and years. When Anaii faces a new threat, she takes off with both men following her blindly. But they won’t wait forever, and Anaii has a choice to make, and a heart to break. To be honest, I was a bit annoyed by Anaii. She is selfish, whiny, stubborn, spoiled and a little brat at times. If she hadn’t been so self centered she would have seen what was in front of her the whole time. For quite a while, she plays a game with both boys. She strings them along while it is clear how they feel about her. She keeps complaining how she doesn’t want to hurt him, while in fact, that is the only thing she does. But then again, I have to cut her some slack because the way she has been treated at her tribe is far from okay. Mental and physical abuse. Even though she doesn’t have to work in the tribe, she is treated like an object. A valuable asset. One that is exploited more times than I can count. Even though everyone kept claiming how important she was to the tribe, it was horrible how they treated her and she deserved more respect. The characters were well-developed and I have no doubt that a lot of thought went into them. They each have their own voice. The world building and the culture was great as well and the writing read really easy. It is a shame that we have to wait until the next book to find out who Anaii really is. The story was completely focused on her love for both boys and the threat on the tribes, but I would have loved to get a little glimpse of who she is, who her family was. But hey, that’s what the next book is for. I have mixed feelings about this story. I enjoyed the premise and the setting, both of which are refreshing in a genre saturated with vampires and werewolves. The prose is beautiful and whimsical, conveying a certain authenticity to the narrative voice of the main character, Anaii. It was upon realising these elements in the first few pages that my hopes were raised. They gave promise of originality, and complex conflict, and in some ways I wasn’t disappointed. The concept of wind whispering, an I have mixed feelings about this story. I enjoyed the premise and the setting, both of which are refreshing in a genre saturated with vampires and werewolves. The prose is beautiful and whimsical, conveying a certain authenticity to the narrative voice of the main character, Anaii. It was upon realising these elements in the first few pages that my hopes were raised. They gave promise of originality, and complex conflict, and in some ways I wasn’t disappointed. The concept of wind whispering, and the faith and politics of the warring tribes, were intriguing to read about and well conveyed. After eagerly racing about a quarter of the way through, I began spotting signifiers of Mary-Sue characterisation, which was a let-down regarding originality. Anaii starts off as endearing and unassuming, yet she soon displays petulant and selfish behaviour which continue through the remainder of the story. I found it difficult to sympathise with her choices, one of which left a gaping plot hole that got me so infuriated I shouted at my kindle. Also, the narrative is tad long-winded (pardon the pun), and the similes are a few too many for my taste. The love triangle takes over the plot, and I really couldn’t be bothered with it. The situation only seemed to bring out more unlikeable traits in Anaii. Another irritating aspect was that the characters are forever crying out to one another.Considering for the majority of the time they’re meant to be hiding, or talking in secret, I wondered how they didn’t alert everyone to their activities. Towards the end the pace picks up and the final few chapters were remarkably more enjoyable to read. Amazing story! I loved every minute of this book! Even then intense parts, and there are a lot! I enjoyed this so much that I kept having to tell myself not to skip ahead to find out what was going to happen, although, I really, really wanted to! First of all, the plot in this is fantastic. At first it seems like a Native American Twilight with maybe some Romeo and Juliet thrown in. But honestly the paranormal aspect and the plot itself really makes this story something of its own. Not only is it different and mesmerizing but it’s fun. The characters also really make this story. I love all of them. There’s a bit of a love triangle that starts a little before half way through and oh boy… I was thinking that this wasn’t going to be good. But instead it totally made sense. The characters really stood out and wanted each of their stories told and the love triangle just happened to be a part of those stories. Even though I’m not a lover of love triangles, I really think this one helped Anaii to grow. Actually, it helped each of the characters involved grow. And I think I liked them even more because of the love triangle. And this isn't just about the love triangle. That is only a part of Anaii's story. There's so much more about her powers and how she comes to find out even more about her powers and herself and trying to save those she loves. AND there are some twists in this baby! I mean seriously… I didn’t see quite a few things coming but I find myself yelling at the book, and the characters, multiple times! And there’s a part 2 coming in the fall! I cannot wait! Anaii is the daughter of the chief, but she is more important than just that. She has been given a gift from the gods, a gift to be able to hear the wind spirits and gather information that can help her tribe, especially escape a brutal massacre from an enemy tribe who planned to attack while they all slept. But why did the Zenni tribe attack after having ten years of peace? Well, that's something Anaii's father wants to find out. The Wind Whisperer proved to be a beautifully written story with p Anaii is the daughter of the chief, but she is more important than just that. She has been given a gift from the gods, a gift to be able to hear the wind spirits and gather information that can help her tribe, especially escape a brutal massacre from an enemy tribe who planned to attack while they all slept. But why did the Zenni tribe attack after having ten years of peace? Well, that's something Anaii's father wants to find out. The Wind Whisperer proved to be a beautifully written story with plenty of action and suspense to keep the reader turning the page. Anaii started out as a great character, sympathetic and a bit vulnerable as she's forced to watch (with the help of the spirits) as her village is attacked and the people she cares about forced to fight to protect their home and all of the tribe. But as the story moved on I found Anaii becoming more selfish and couldn't agree with several of the decisions she made. One thing that really annoyed me about Anaii was that she kept Elan and Jayttin dangling, holding back her own emotions from them. 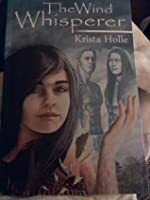 The Wind Whisperer by Krista Holle was an incredible story of first love, second love, growing up, and responsibility. I guess you could call it a coming of age story, because it pretty much is, but it's a lot more too. You have the Native American tribe setting with their superstitions and rivalries. There was a fun paranormal element. Then you have Anaii who's stuck in the middle because of her gift. I loved the wind whispering. She could be talking to someone and the wind will start whispering something to her. Sometimes it was of importance while other times it was something random that was going on. They made me giggle. What a fun gift to have. the love triangle was put together exceptionally well. I really couldn't decide who to root for. Elan and Jayttin were both wonderful characters. They both would have been great for Anaii. I grew attached to both of them. This story can appeal to such a wide variety of readers. Whether you're a fan of Historical or Paranormal fiction with a good dose of suspense and romance, you are sure to enjoy the Wind Whisperer. I really enjoyed reading this book. I loved the love triangle, it really kept my interest. I was torn between the two men in the first half of the story and then by the middle of the story I had chosen my favorite. I was a little unsure who she would pick but in the end I was right. I enjoyed the mystery of it. Anaii was selfish but she kept it interesting. I look forward to know what happens next to her. Although this book wasn't my normal genre of interest, I found this book to be well written and entertaining. The author was excellent at weaving the story together and forming new and interesting plot twist. I would recommend this book to readers that enjoy plot twists, tribe wars and a sweet love triangle.